Da Schneckengemeinschaften sehr eng an ihre unmittelbare Umwelt gebunden sind, erlauben sie Schlussfolgerungen in Bezug auf Struktur und Ausdehnung von Wald- und Offenland sowie von Gewässern. Da die meisten der quartären Gemeinschaften Mitteleuropas rezente Analogien besitzen, kann man durch die Kenntnis der letzteren und deren Umweltansprüche auf die ersteren rückschließen. Somit sind die Molluskenreste von hohem wissenschaftlichem Wert, vor allem dann, wenn keine paläobotanische Untersuchung möglich ist. Der Mensch als Störfaktor in der Naturlandschaft macht sich etwa ab dem Mittelneolithikum bemerkbar  seine Einflüsse auf die Vegetationsentwicklung finden in der Entwicklung der Molluskenfauna ebenso Niederschlag wie die pleistozänen Klimaveränderungen. Diese Art der Fragestellung blieb in Österreich bis dato unberücksichtigt, wird aber in verschiedenen europäischen Ländern intensiv verfolgt. Daher bildet die vorliegende Studie eine wesentliche Ergänzung der archäologischen Ergebnisse. Außerdem war es für Österreich erstmals möglich, das mittelholozäne Klimaoptimum (Epiatlantikum) ausführlich zu dokumentieren. Trnka (e.g. 1991) and others have described these particular prehistoric findings from an archaeological and pedological point of view. However these studies are not able to give any information concerning the environmental evolution of the time. 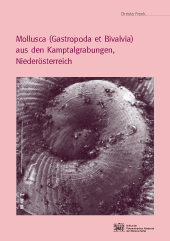 The FWF (Vienna) supported the malacological investigation of soil samples from some ditch graves (Rosenburg, Kamegg, Strögen, Mühlbach am Manhartsberg, Straß im Straßertale, Großrußbach/Weinsteig), as well as from the earlier site of Gars-Thunau (P 8653-Geo). In contrast to most mammals, mollusca are characterized by minor phylogenetic changes (only a few species have chronostratigraphic importance), but they are closely linked with their environments: Many species indicate peculiar microhabitats (closed woodland with favourable trees, open area, limestone rocks, springs). Thus, their assemblages are most suitable for detailed reconstructions of local environments, both in the site investigated and in its surroundings too. They can tell us about the distribution of woodland and open grasslands, or even about the development of aquatic habitats, because the development of malacocoenoses corresponds to that of the vegetation upon which it depends. In many cases their abundance allows statistical treatment. Particularly warm periods, especially within the holocene, are characterized by different combinations of index species. A complex interpretation, based on vertebrates, malacological and archaeological evidence in mutual correlation, provides much more information on former environments and events than the evidence provided only by palaeobotany. Furthermore, most palaeomalacological data come from areas lacking in plant fossils and may considerably enlarge palaeobiological evidence of the quaternary environmental evolution.